Often in life, we find ourselves feeling burdened and weighed down by negative feelings, negative people or unpleasant surroundings. A Shielding, Clearing & Protection Workshop is ideal to help you escape from any negativity you may be experiencing in your life. It’s time to welcome the abundance of joy, love and happiness! No matter how you’re feeling, this workshop will leave you feeling light and free, able to clear spaces of negative energies and replace them with freely-flowing positive vibes. Let us help empower you with easy techniques that shield any negative thought patterns or energy directed to you or your family. 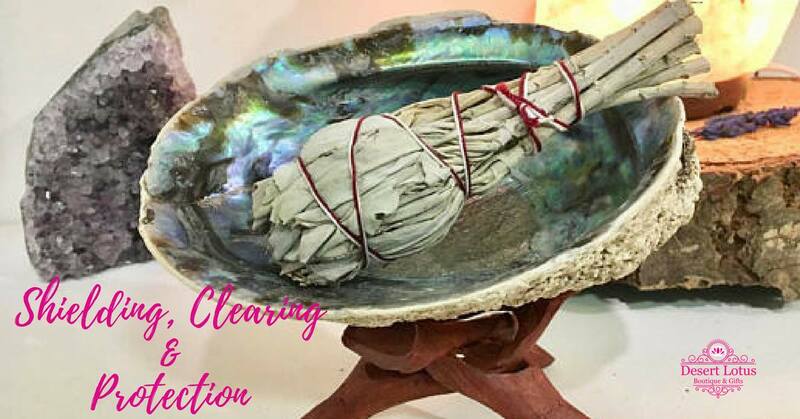 Whether it’s at work, at home or elsewhere, this workshop enables positive energies to flow more freely, creating abundance, joy, protection and good health. Join us and release yourself of the burden associated with any negative people, any bad experiences or any unpleasant situations that are troubling you and holding you back. Discounted protection tools will be available for those attending workshop. Please call (714) 552-6030 to reserve your space now.